Music fans will soon be able to use Shazam to identify a song and immediately listen to it in Spotify on the iPhone, iPod Touch and Android phones. The 'Play in Spotify' feature will whisk users directly over to the Spotify app where they can either listen to it straight away or add it to a playlist for later. Although playing in Spotify will be available on Shazam's free and premium apps, you'll need a Spotify Premium account to make use of it on your handset. 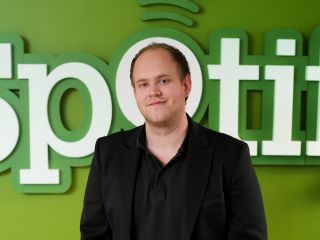 Daniel Ek, CEO of Spotify, commented, "Shazam is a very innovative company in the mobile space, having achieved a massive following around the world and we're excited about the potential of this partnership for new music discovery through Spotify." Premium Shazam users will get the new functionality today, whereas free users face a bit of a wait until later in Q1. No doubt thousands of users already have Spotify playlists consisting of song's they've discovered using Shazam, but the new partnership makes the process a whole lot easier.